As parents of Spirit Jerry and Tripawds Spokesdog Wyatt Ray, we admit it: we are suckers for three legged German Shepherd dogs. 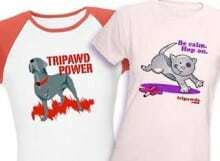 So when we stopped by Katherine Lang-Sigfred’s Etsy shop “Aksel Rose Textiles” and met her beloved Tripawd, we were instantly in love and had to feature her. 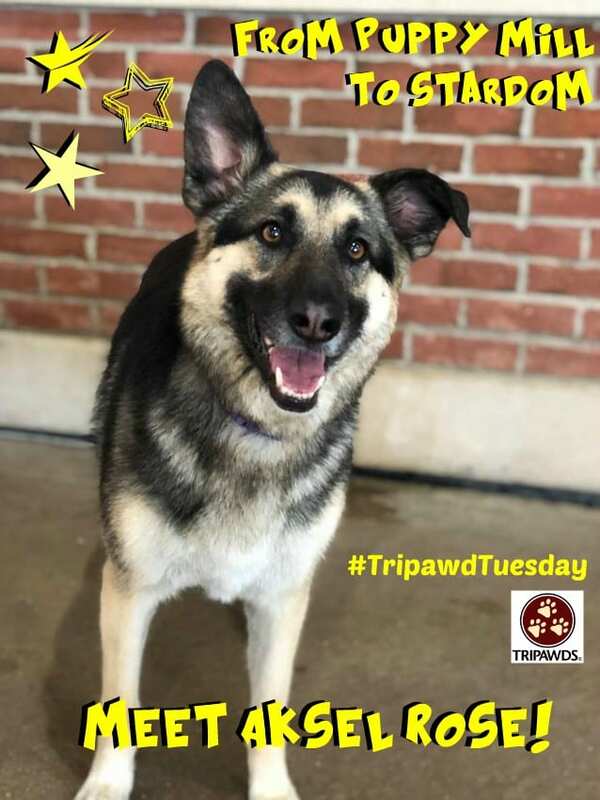 Today for Tripawd Tuesday, Aksel Rose the Rock Star is our special guest! Our story started 3 years ago. She was a pup down south in need of a Medical Rescue. 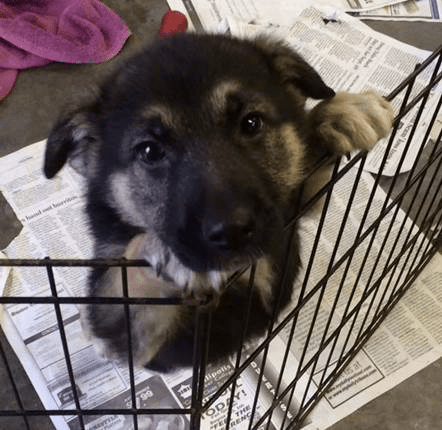 Puppy Aksel waits for rescue. Through a Company Sponsored Fund Raiser at my husband’s work place. I saw her first pic, they had raised enough monies to bring this dog up from down south. I saw her and immediately fell in love. Not knowing her medical condition, I proceeded to adopt her. Through her travels up to Madison WI, the rescue team knew she needed attention, it was her back legs. I received a call saying that she may potentially loose them both. Asked if I was still interested….. “I am in it to win it”, I replied. Drawn to her somehow. She gets regular rehab therapy. After several professional opinions, they settled on only taking the right hind and hoping for the best. With therapy and proper diet, she might make it. This is where Aksel Rose’s life and mine changed forever. Adopting her during her amputation at 4 months old, she is now currently 3 years old. We do everything together. She goes hiking with Kathy. For years now: I take her swimming once a week for 20 minute cardio (good for her shoulders and front paws), Hydro Therapy once a month (evaluated by her Holistic Vet), doggy daycare (for socialization and stimuli) 3 afternoons a week, also enrolled in Scent class every Monday night (which she excels in). Maybe even compete one day! Join the Aksel Rose fan club! My world is forever changed by my Rock-Star! Everyday is a new adventure, for many years to come!